Matchroom Boxing is back again with the upcoming Oleksandr Usyk vs. Tony Bellew “He Who Dares” fight. This anticipated match is scheduled for Saturday, November 10, at 1 PM EST / 6 PM GMT, and will have several undercards to offer as well. You can watch Usyk vs. Bellew online and for free in the US, Germany, and elsewhere around the world. UK streams will be available, but accessing free streams there may be more difficult. In some cases, you may need to use a virtual private network, or VPN, to live stream Usyk vs. Bellew from abroad, or to get free access in your area. We’ll show you which are the best VPNs to use and how to watch the online live stream anywhere. Many streaming options may exist for Usyk vs. Bellew, but our guide will show you how to access the fight completely for free through only legal and official sources. Viewers in the UK and Ireland will be able to stream the fight through Sky Sports Box Office for a fee. Anyone looking to watch the fight locally at the Manchester Arena will now have to watch it live online. As of this time of writing, tickets for the event are sold out. Those looking to stream the fight between Oleksandr Usyk and Tony Bellew could run into three key problems: ISP speed throttling, ISP data collection, and geographic content blocking from streaming services. In many locations, ISPs now have the right to collect user streaming data and sell or give that information to third parties. ISPs also often employ speed throttling during high-traffic times of the day for video streams. That means you may find your streams for Usyk vs. Bellew reduced in quality. Additionally, if you’re hoping to watch abroad, DAZN is your best option. You may find DAZN blocked where you are, however. A VPN will be required to unblock your streams and gain access. Of the options we’ve tested, ExpressVPN provides the best experience. Not only is it fast for video streams, the service also maintains high standards for user privacy and security. Through testing, we’ve found ExpressVPN will work to get access to DAZN and most other streaming sites. EXCLUSIVE DEAL: Get an extra three months here at no added cost by signing up to ExpressVPN’s annual plan. This includes a 30-day money-back guarantee so you can try it risk-free. Sign up for your VPN service online. 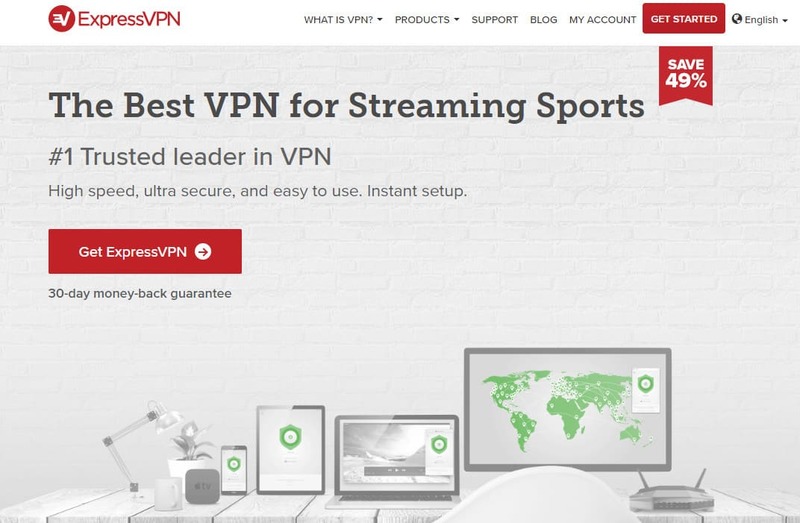 While we recommend ExpressVPN, others may work to get access to different DAZN regions, including NordVPN and Cyberghost. Install the VPN software on your chosen device, then connect to a country offering the stream you want (in this case, any of those listed above for DAZN). Note that you must have the VPN software running on the same device you’re using to stream. Sign up to and open your preferred streaming source, and then connect to the Usyk vs. Bellew stream when it becomes available. You may want to test other streams ahead of time to make sure your VPN is working properly. If you find any problems connecting to your desired streams, you may need to remove location markers that exist on your system. That can include turning off GPS location on mobile devices, logging out of Google Chrome, and deleting location-based data such as cookies and cached data from your web browser. Getting access to DAZN from abroad for the Usyk vs. Bellew fight can be tricky, so we’ll explore your options below. DAZN has extremely strict VPN blocking measures in place. If you’re trying to stream the Usyk vs. Bellew fight from abroad, you may run into some roadblocks and headaches. Load DAZN’s website and log in to your account, or create a new one if you have Canadian payment information. As long as you are able to access DAZN’s site while connected to a VPN, the streams should work. With that completed, you should be able to stream Oleksandr Usyk vs.Tony Bellew live online from anywhere. At present, we have found only the Canada servers unblock DAZN. We’ve also found Cyberghost works to unblock the Switzerland server, while NordVPN also works with DAZN’s Canada servers. DAZN is the only official source for Oleksandr Usyk vs.Tony Bellew in the US. Thankfully, you can stream for free if you’ve never used DAZN before, or if you sign up using a different email address and payment method. DAZN offers a 30-day free trial to new users, meaning you’ll be able to enjoy the fight for free. After that, the cost is $9.99 per month. With that time frame, you’ll likely be able to watch a large number of other matches as well. If you’re traveling abroad and have access to US credit card information, you can still watch DAZN’s stream. 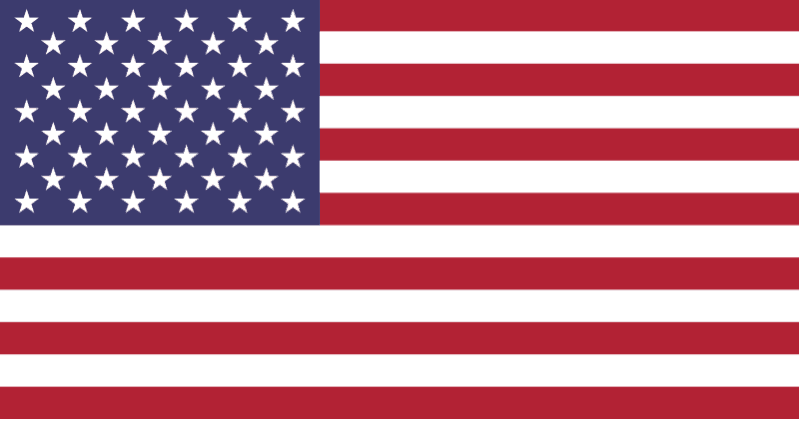 However, you’ll need to be a bit tricky using ExpressVPN. You won’t be able to connect to a US server to watch the fight. Unfortunately, the only option to watch Usyk vs. Bellew in the UK and Ireland (without using a bypass to access DAZN) is through Sky Sports Box Office. You don’t need a current Sky subscription to watch, but you will need to pay the one-time pay-per-view fee. In the UK, the cost will be £19.95. In the Republic of Ireland, the cost is €24.95. UK and Ireland residents, unfortunately, do not have access to DAZN natively. Unless you happen to have payment methods for Canada or Switzerland and a VPN, signing up will be difficult. German fight fans can also access DAZN. You can sign up to access the free, 30-day trial to watch the fight. If you don’t want to keep DAZN, you can cancel without penalty after the fight ends. If you’re traveling abroad, you’ll need to have already signed up to DAZN. 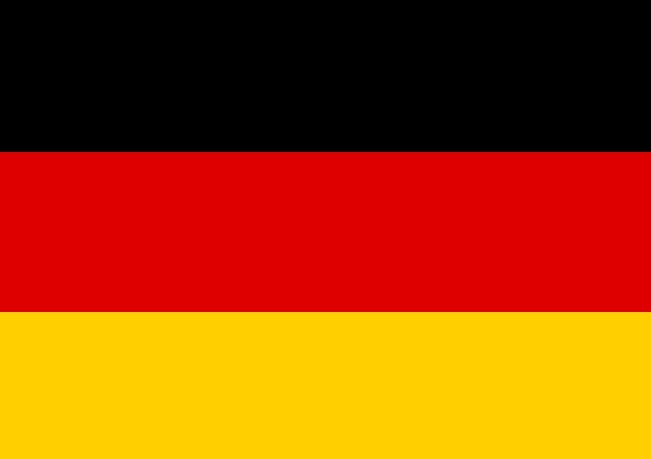 No VPN we’ve currently tested with DAZN unblocks its Germany servers. If your device of choice for streaming sports is the Amazon Firestick or any other Amazon Fire TV device, you’re in luck. You can easily use these devices to stream the upcoming Matchroom Boxing fight. You’ll find a DAZN app available in any country where the service is available. As for users trying to watch Sky Sports Box Office on Amazon Fire TV devices, there is currently no app for the service on the Amazon App store. However, there is an Android app. With that in mind, you can still download and install the Sky Sports Box Office app onto an Amazon Firestick. You could jailbreak your Amazon Firestick, but you may also want to consider sideloading the app the same way you would do with other applications, like Kodi. The Manchester Arena will be lit and active for the fight, which starts at 6 PM GMT / 1 PM EST on November 10. Both Tony Bellew and Oleksandr Usyk are going into this fight with strong records. But because Bellew is ending his career in the WBC Cruiserweight with this fight against a relative newcomer, many eyes will be on the fight to see how it all goes down. There are also half a dozen other fights scheduled on the card that will likely be worth watching. Alexandros Kartozia is also scheduled to fight in a Heavyweight Contest, but as of yet, there are no challengers. If none surface, that fight will be canceled. The Oleksandr Usyk vs Tony Bellew fight is sure to be an interesting one. It’s also likely to be a bit hard to predict. The relative unknown Usyk has many observers raising their eyebrows. The Ukrainian fighter began his professional career in 2013 but has primarily fought matches in his native Ukraine and other Eastern European countries. Still, he holds a lossless record at 15-0. Meanwhile, Bellew holds an imperfect record (30-2-1) but has been fighting heavily on the international scene since 2007. The boxer’s career has been storied enough to help land him a role in the 2015 Rocky-based film Creed. Bellew has also held several titles throughout his career, including the WBC Cruiserweight Title, WBO International Cruiserweight Title, WBC Silver-Lightweight Title. Bellew intends to retire after this fight. Meanwhile, Usyk will be defending his recently-won Muhammad Ali Trophy. 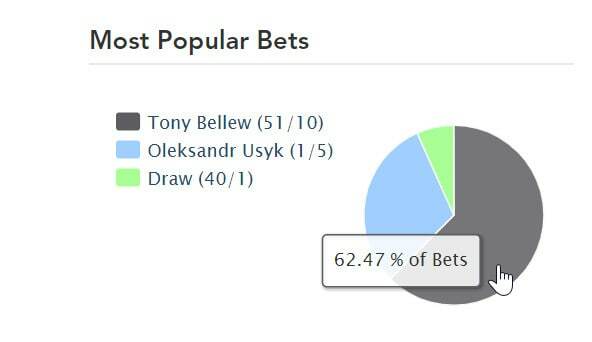 All of that in mind, most of those betting on the fight have placed their faith in a Bellew victory. Sports betting aggregators like Oddschecker currently show Bellew with over 62 percent of bets across a number of sports betting sites. Usyk holds just over 30 percent, with over 6 percent of gamblers betting on a draw. Needless to say, a Bellew loss, or even a draw, is likely to result in a huge upset. If you haven’t cast your bet yet, you can do so on any website taking bets for sports. If you’re traveling abroad in a country where sports betting is blocked, you’ll need to use a VPN to access betting sites. We recommend checking out our guide on how to access sports betting sites abroad if you need an effective bypass.